Jazeman Jaafar will return to the Formula Renault 3.5 Series in 2014 and moves to ISR Racing for his second year in the championship. Jazeman, a PETRONAS Talent Programme driver, recently finished his debut season in the Formula Renault 3.5 Series, with a third place podium high in Monaco and four top ten finishes. He added a sixth place finish at the Macau F3 Grand Prix to these results. 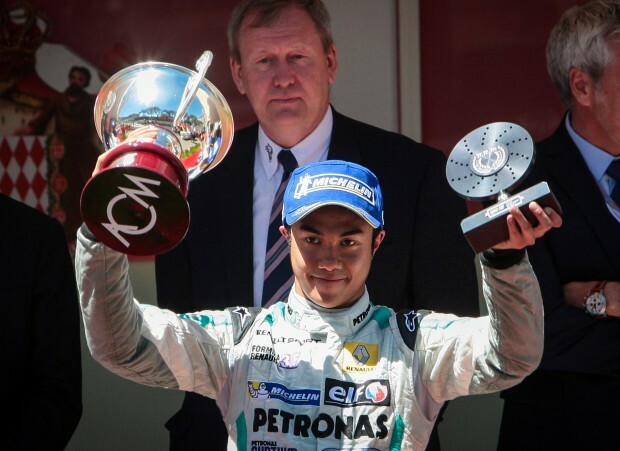 In 2013 Jazeman also had his first drive of a Formula One car, with three opportunities to sample the MERCEDES AMG PETRONAS 2011 W02 Formula One car. His first outing was in Malaysia, driving the car on the streets of Kuala Lumpur as part of a PETRONAS motorsport demo event. This was followed by a limited running filming day at Silverstone in the summer and in November, a full day’s running at Silverstone for a driver evaluation test, benefiting from his support from PETRONAS and the company’s partnership with the MERCEDES AMG PETRONAS Formula One Team. ISR has competed in the Formula Renault 3.5 Series for the last four years and has been a top three team in three of the four seasons. Team Owner, Igor Slaquarda, is delighted with Jazeman’s decision to join the team for 2014, and says, “We’re very pleased to welcome Jazeman to ISR for this season and look forward to a very successful championship together. Jazeman quickly made a very good impression with everyone at the team at last year’s test, with his positive attitude, great work ethic and a steely determination, and we saw just how quick he can be as well”. Jazeman will be testing with the team in the first official Formula Renault 3.5 Series test session from February 26th – 27th at Motorland Aragon in Spain.